Halfway There: a reading series in Montclair. The phrase “halfway there” is lifted right from the Bon Jovi anthem “Livin’ On a Prayer.” We are a New Jersey series and wanted something that reflected Jersey. 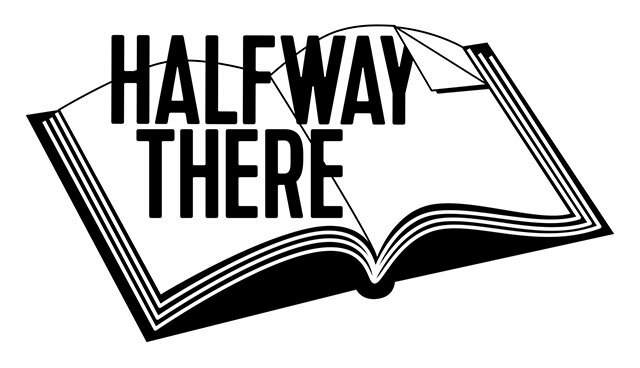 Since we are a series that supports the emerging author, the term “halfway there” has extra significance. Nicole Haroutunian and Apryl Lee, fiction writers who met in the Sarah Lawrence MFA program. We’re both NJ-natives and Apryl lives in the Montclair area. We start with an hour to mingle, drink coffee and browse books provided by Watchung Booksellers. Then our 3-4 readers read, followed by an audience Q&A. At the Red Eye Cafe in Montclair, NJ. Quarterly — September, December, March, June. Our inaugural event was this September 14th! www.halfwaytheremontclair.com, www.facebook.com/halfwaytheremontclair, Twitter and Instagram. Mainly solicitation. We also open a submission period for a pop-up event in April. Our goal is to host a literary series that brings together established and emerging voices, as well as local and visiting writers. There are not many places in the northern New Jersey region that host a regular reading series of this sort, one which features fiction, nonfiction and poetry and that brings together emerging and established authors. We had a feeling that New Jersey needed a literary series like this, and the community’s enthusiasm proves that we were right! The next Halfway There is scheduled for Monday, March 14, 2016 at Red Eye Cafe in Montclair and features Keene, Brenda Shaughnessy, and Boris Tsessarsky.